For the second edition of our blog, we had a little sit down with Jonas Hyllseth Ryen, the CEO of Learnlink. Learnlink is an exiting new startup, which focuses on online tutoring services for kids and young adults. They are not exactly what you would call digital nomads, but they all work remotely. 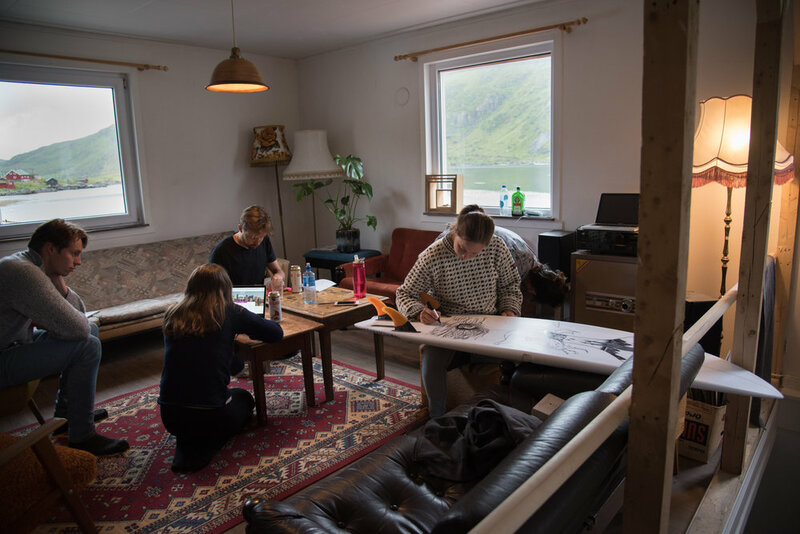 Recently they visited the Arctic Coworking Lodge for a team retreat. Thanks for staying with us, Jonas! Having you here for the opening month was great. Seeing you guys work was inspiring to say the least. What were the main factors for bringing your team to Lofoten? April and May are really hectic months for us, so we always end up delaying big projects and product updates until summer. As our team usually is split between Oslo and Trondheim, we concluded that the best way to kick of our summer work was going somewhere together. I was in Lofoten last summer, and it was one of the most amazing places I've ever been, so when we found the ACL, it was a natural choice. We were just starting out when you guys booked, so we were beyond stoked to say the least. 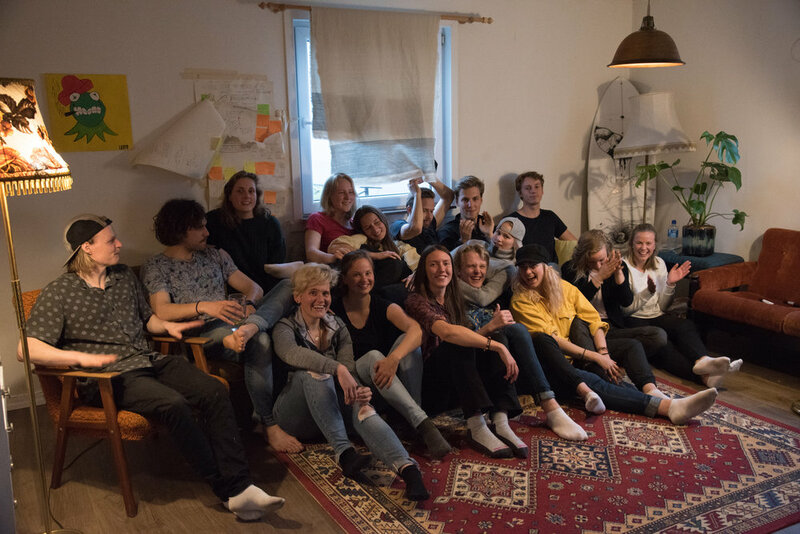 Why did you choose to stay at Arctic Coworking Lodge? 1. The location - being able to work in fantastic scenery, far away from the city and all disturbances, was very appealing. 2. The fact that you guys are just starting out! We need more people like you in Norway, and more projects like ACL, so we want to support that. What do you feel you got out of your stay here? We got a lot of work done in daytime, and a lot of fun activities in the evenings. Our whole team knows each other much better now, and in a different way. The "think big"-workshops we did will be invaluable and crucial for our development over the next year. And of course, nighttime surfing and partying in Henningsvær was an experience for life. 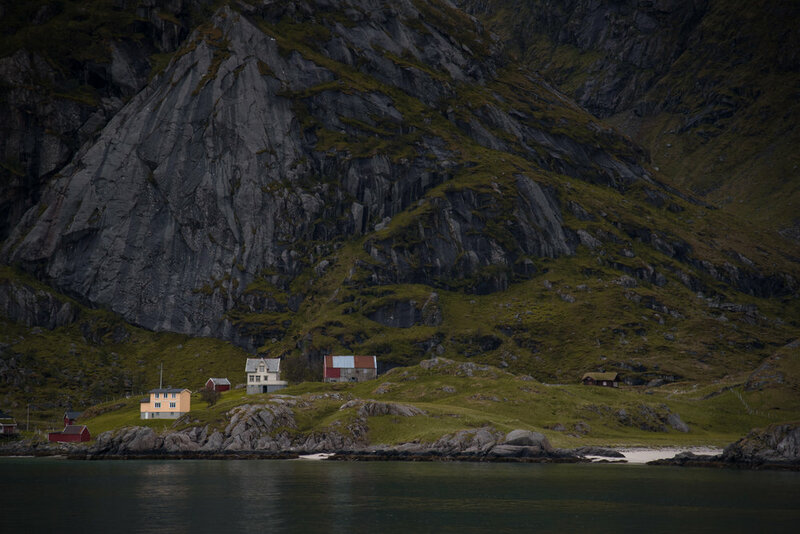 How does Lofoten and its surroundings influence your work? More focus, because there are no disturbances around you. If you're exhausted of focusing for a long time, you just step outside or look outside the window, and you see amazing mountain views. You guys seem to have a great group dynamic. How do you pull that off when you are never all together in the same office back home? That's actually one of the things we have been talking a lot about during our stay. Working remotely is hard, but it gives some great advantages. As long as we do social events whenever we're together, celebrate our victories and focus on the common goal we all care very much about, it's easy too keep motivation up. Would you recommend other startups to visit Lofoten, and why? Definitely! I will come back myself as well. The combo of work and calm, remote living is unique. I believe many more will start doing this when they realize it's an opportunity.